The word, ‘courage,’ has roots in the Latin word, ‘cor’—which means heart. And heart, way back when, referred originally to the passions, all of them: anger, greed, love, lust—the entire range of big feelings. It wasn’t until the 17th century that the French hooked up ‘corage’ with the concept of bravery. For me, what I notice about courage is that it’s first and foremost an act of choice. As an artist, you make choices all the time that reflect the bravery of your heartfelt passions—often in the face of disparagement. As I see it, there are three areas where your bravery shows up. For today, let’s just take the first one: making your art. It’s not just that you love what you do; it’s that making art is so interwoven with your identity that the boundaries blur between you and a piece of your work. And then he asked me this critical question: “How can I sustain this feeling?” And I thought, yes, how can that feeling be sustained—especially when you’re feeling the urgency to make a living, or when confusion is fogging up your windshield? This is when making art becomes your first act of courage; because even when you don’t know the answers to these questions, you are there in your studio, doing it anyway. 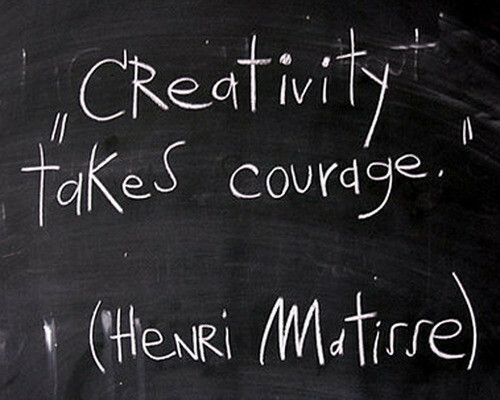 Notice this week where you make a choice to put your art first even when it feels risky to do so. And I invite you to comment, below, and tell me when was the last time you felt yourself making a courageous choice. 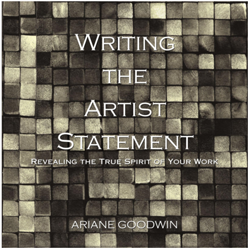 As a writer, art-career coach, and entrepreneur who grew up in a family of artists, Ariane learned that it is possible for your creative right brain, and your career-strategy left brain, to become smooth-as-silk dancing partners. She is also your best art-career ally, especially if you understand that presenting your work with confidence and credibility is as basic as good art supplies. 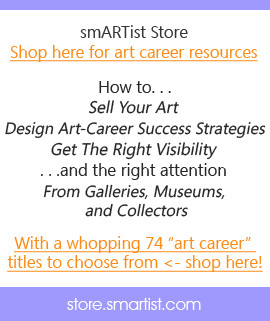 Click here to add Ariane’s presentation to Your Art Career Library! on the internet. Five million dollars in federal funding was spent’. I hzve a challenge that I’m just now running on, and I hae been on the llook out forr such info. lack of income, and long term medical expenses.